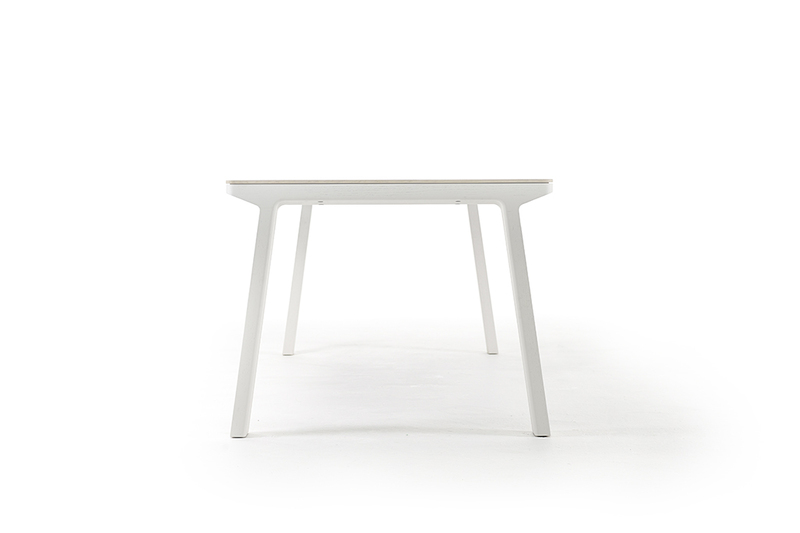 The Drawer Table came from from rethinking the old drawer kitchen table to fit our current social habits. 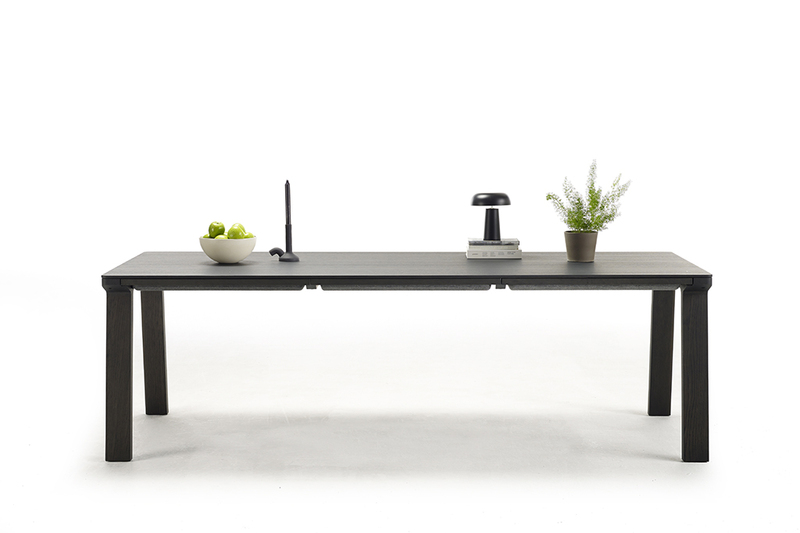 Nowadays tables find their use at any moment of the day: to eat at, to read the newspaper at, to work at, to play games at, etc. 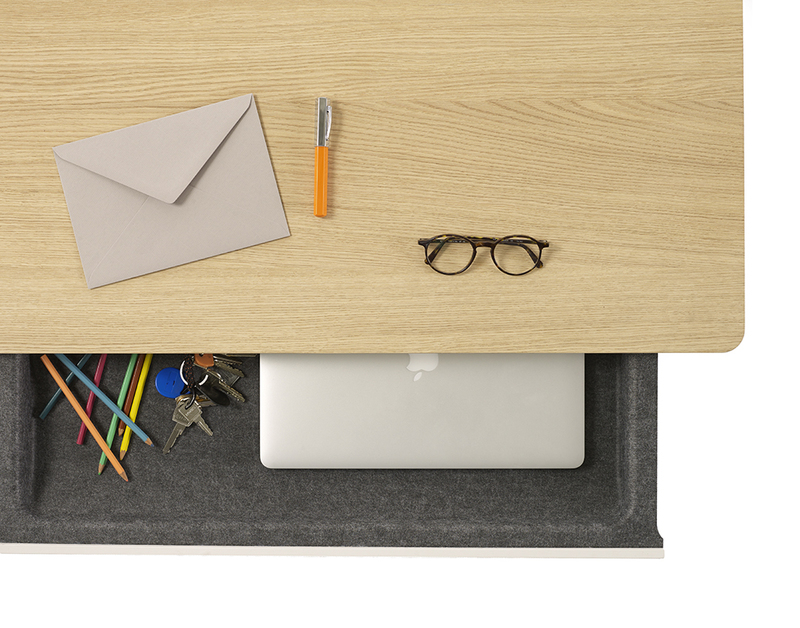 The Drawer Table allows you to store things like a laptop, napkins, or stationary items in between changing activities. It has a surprisingly thin top offering room to spacious drawers and plenty of room for knees and legs. The drawers are made from recycled PET and feel like felt. 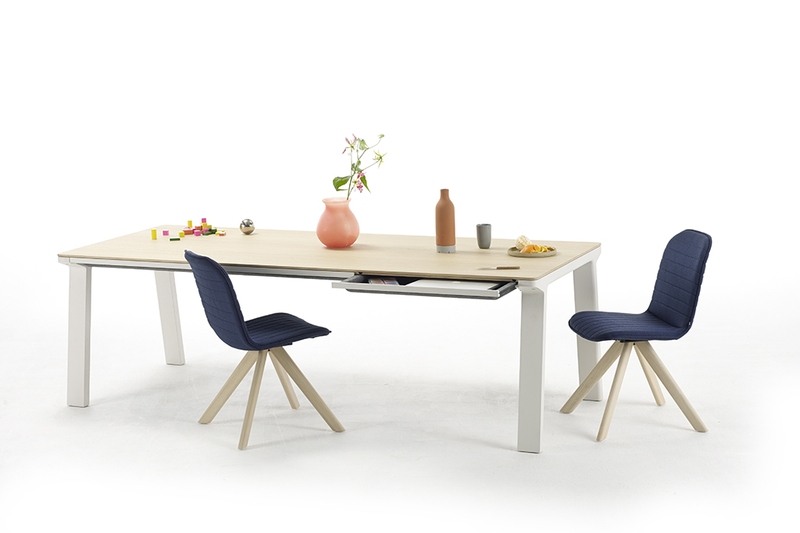 The width of each drawer corresponds to a sitting area for one person, but of course more persons can squeeze in at the long table sides if necessary. 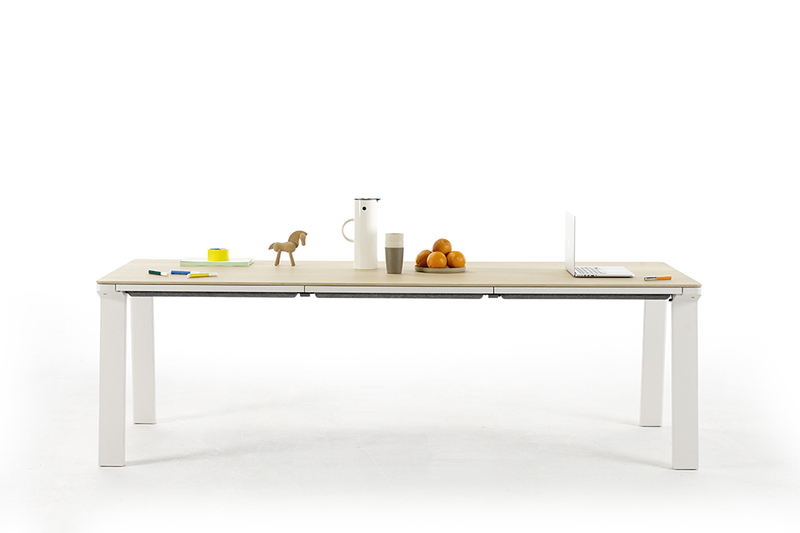 The table can be ordered in any length, with 2, 4, 6 or more drawers. 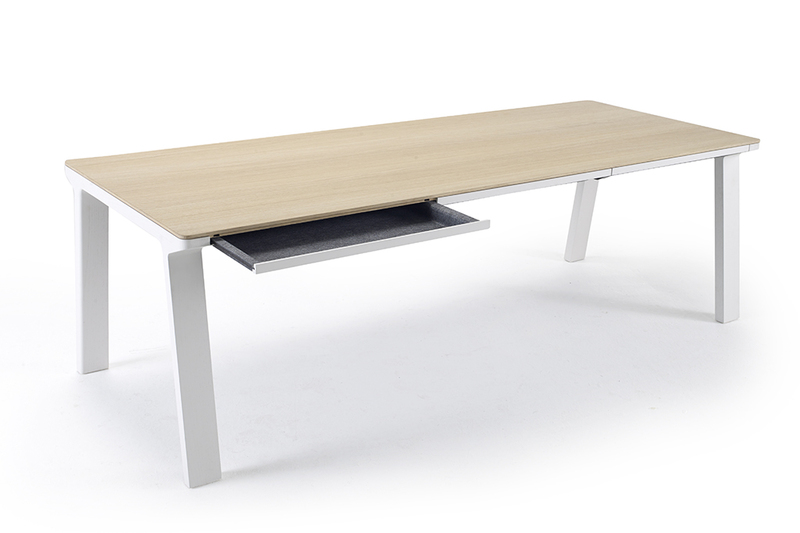 The Drawer Table also works very well in working environments, offering a small storage space for tablets and other items in meeting rooms. 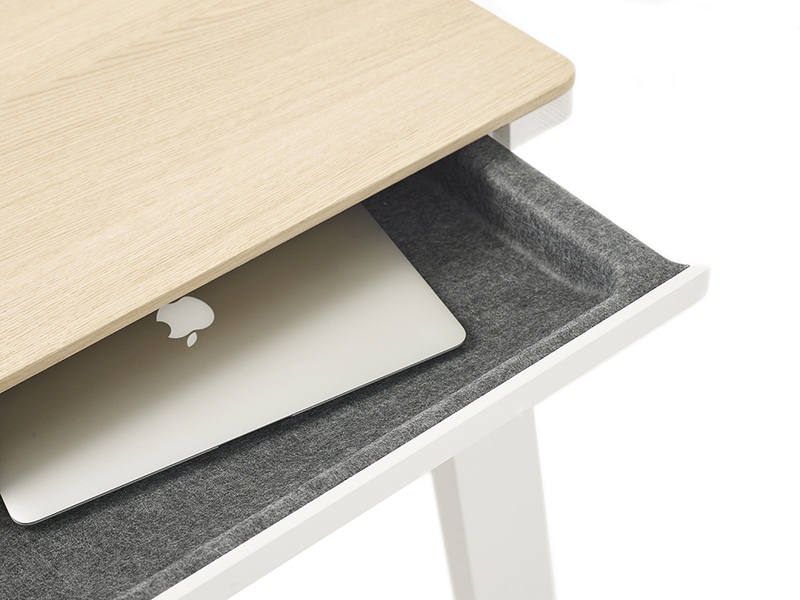 The felt-like material of the drawers deals nicely with acoustics.